Disney perfection in every gorgeous detail. True love. Dreams come true. Hankies ahoy. 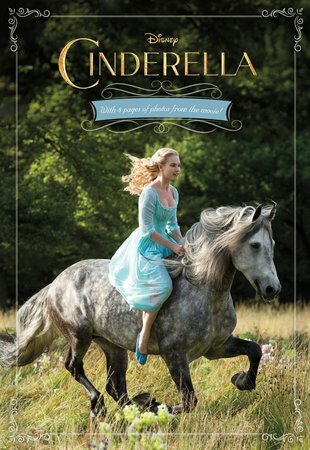 We’ve waited on tenterhooks to see Lily James gallop in on her dappled white horse. The magical moment when Disney goes back to its fairytale roots. But this time it’s not a cartoon. It’s a live-action film as perfect as a beautifully cut diamond. Real actors. Real magic. A real-life Cinders you can totally relate to. Who better to tell her story than the original fairy tale masters? Now in a gorgeous book with a colour photo insert. This one.